For 22 years I looked at the Ossipee Mountains on the far horizon across the southwestern coves of Squam Lake. 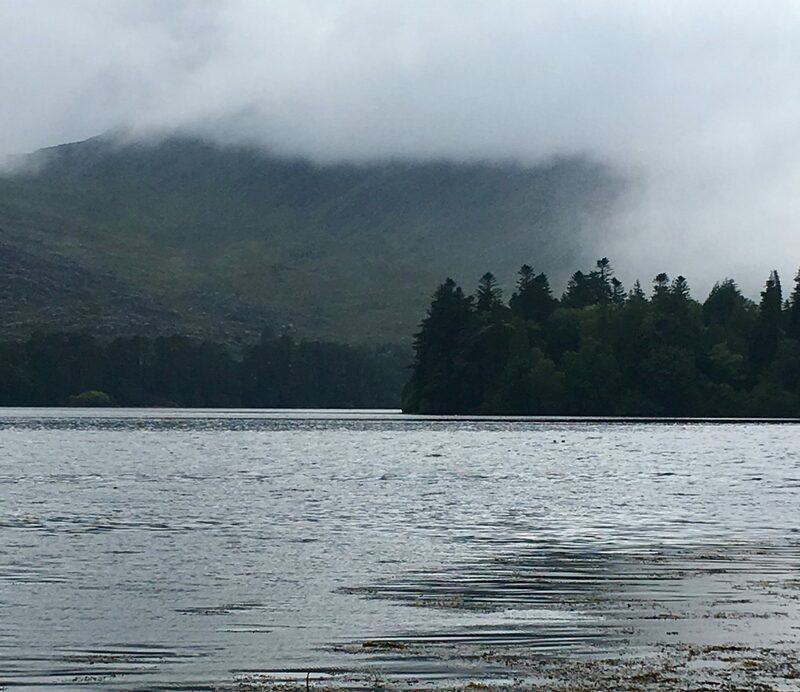 From the Westwinds Cottages, where our family spent a week every summer, I could see the Ossipees behind the closer height of Red Hill, a hazy ridge of mountains I’d never climbed. I knew the Ossipees were a ring of mountains from an ancient volcano, but there were few known trails and no maps, and I was always busy climbing the higher White Mountains to the north. 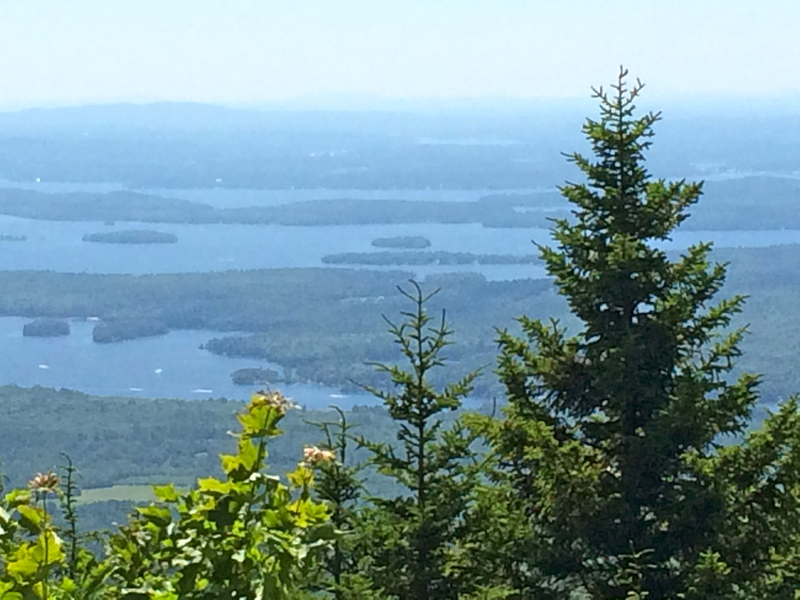 Yesterday I got to stand on top of the ridge I looked at all those summers and take in a distant view of that southwestern corner of Squam Lake, along with a gloriously expansive view of Lake Winnipesaukee. The trail to the summit of Mt. Roberts passed over numerous ledges with views of the lakes to the south. From the top of Mt. Roberts we followed the High Ridge Trail, which strings many of the peaks together. It’s an old carriage road, running along the 2,000 foot ridge, and is wide and grassy and some of the best hiking footing I’ve ever experienced. The trails in the Ossipees have been mapped by the Trail Bandit, a man who started by mapping St. John in the Virgin Islands for hikers, then took on the Ossipees next. I don’t know what the connection is, but I’m thankful for the work he’s done to make the trails more accessible. 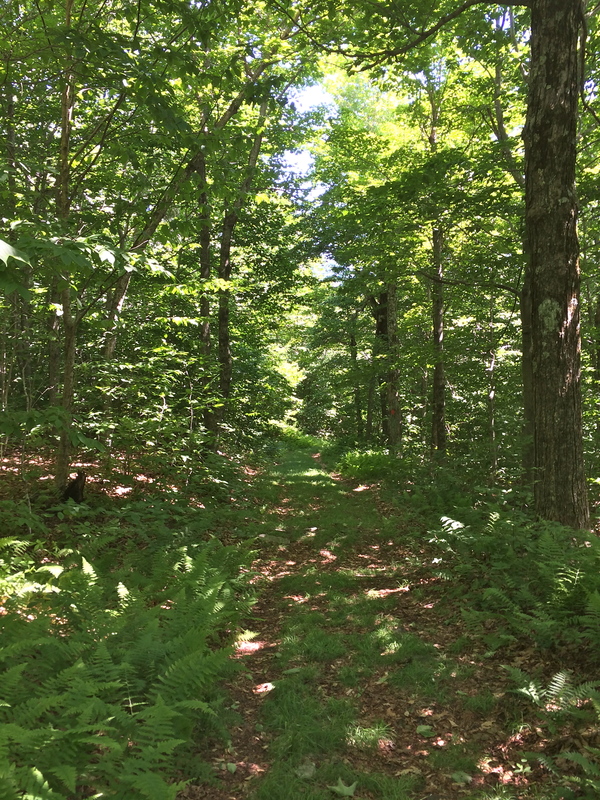 The Lakes Region Conservation Trust has gone even further in making their conservation area in the Ossipees accessible by creating trail maps and kiosks in the Castle in the Clouds area of the Ossipee Mountains, clearly marking 30 miles of trails with blazes and signs. With a strong wind cooling off the hot sun and flickering light through the leaves of the trees along the trail, it was an ideal day for hiking. I fell into a smooth rhythm of walking, the flow of a good hike following me long after I got to the end of the trail. At the summit of Mt. Roberts we chatted with a couple having lunch there. We talked about hiking lists we’ve completed (the man has done all the 4,000 footers in New England and the woman was working on 52 With A View) and how for the most part none of us are into lists at this point in our lives — too many other things competing for our recreational attention. But after yesterday, the peaks in the Ossipees is a list I plan to pay more attention to.